Snapchat is adding more unique features as it continues to battle against Facebook. The latest update, announced on Tuesday, makes it easier to record consecutive videos. Snapchat (SNAP)'s new tool lets users take up to six consecutive, 10-second video Snaps at once. Previously, users were limited to recording one 10-second video at a time. 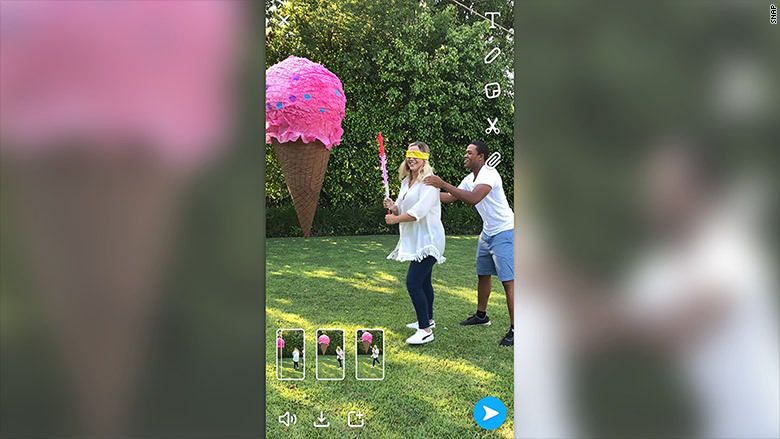 In recent months, Snapchat has released a slew of other features -- such as photo-editing tools and 3D filters -- as it faces heightened competition from Facebook-owned (FB) Instagram. Last August, Instagram launched its own Stories feature and has recently copied many of Snapchat's other tools, such as face filters. Stories are photo and video posts shared by users that disappear after 24 hours. Instagram has 250 million daily users for Stories, up from 200 million in April and more than Snapchat's daily user base. In its most recent quarter, Snapchat reported 166 million daily active users, only 8 million more than the prior quarter. To use Snapchat's new multi-Snap feature, users press and hold the capture button to record a video. After holding down the button for 10 seconds, it'll record another clip. Up to six Snap thumbnails will display at the bottom of the screen every time a 10-second video is recorded. The videos can be posted to Stories or sent to friends. Each one will be sent individually and in chronological order. Users can also delete any video Snaps in the sequence before sending. 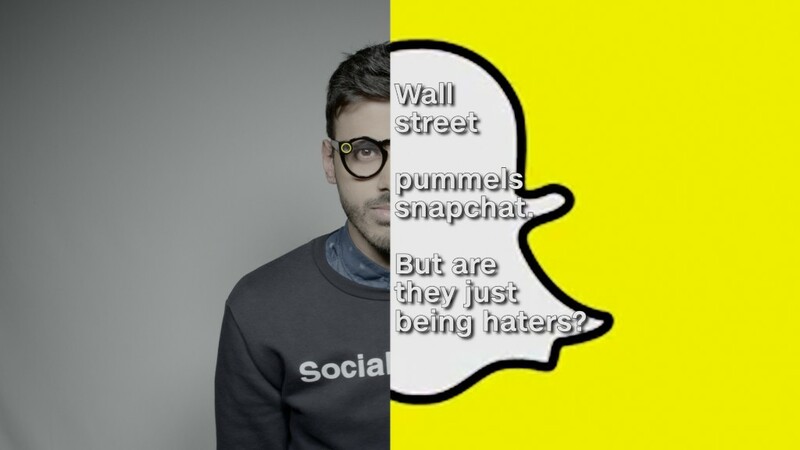 Related: Can Snapchat snap back? Snapchat also launched a new feature called Tint Brush, allowing users to add new color to any object in a photo Snap, like making hair pink or green. This feature is now available to all users. Meanwhile, the multi-Snap feature will come to iOS devices Tuesday and Android devices soon.